One of the most frequently mentioned benefits of genetically engineered crops is a reduction in chemical pesticide use on corn and cotton. These chemicals typically kill not only pest insects but also beneficial insects that help control pests or pollinate crops. They may also harm other friendly organisms like birds. 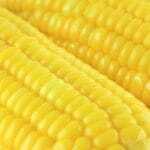 But in reality, corn engineered to kill certain insect pests—AKA Bt corn—has mainly resulted in the replacement of one group of chemical insecticides with another. 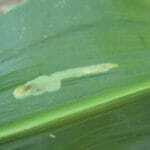 Previously, corn may have been sprayed, or soil treated with chemical insecticides to control several insect pests, especially corn rootworm. Bt has largely eliminated (at least for the time being) the demand for insecticides to control rootworm or European corn borer. But those who tout the benefits of GE fail to mention that today virtually all corn seed is treated instead with chemical insecticides called neonicotinoids to ward off several corn insects not well controlled by Bt toxins. And while almost all corn is now treated with insecticide via the seed, substantial amounts of corn went untreated by insecticides prior to Bt. For example, corn alternated (rotated) with soybeans from year to year usually needed little or no insecticide treatment, and only five to 10 percent of corn was sprayed for corn borers. A new publication by several academic entomologists on the impact of neonicotinoid insecticides on honey bees shows that such seed treatment may be having serious repercussions. Previous research has linked neonicotinoids to bee deaths as a possible contributor to colony collapse disorder, which is wreaking havoc on bees across the United States. The new research is important in showing that when neonicotinoid insecticides are used as seed treatments, they can migrate through the soil or through the air in dust to other plants near (or in) corn fields, like dandelions, which honey bees prefer as a pollen source. It was already known that this type of insecticide can travel through the plant as it grows, and this study also shows corn pollen contaminated with this insecticide and substantial corn pollen use by honey bees. Importantly, the amount of the insecticide found in and around corn fields is near the range known to kill honey bees, and dead bees collected near treated fields contained insecticide residues. It is also known that sub-lethal doses of these insecticides can disorient bees, and may make them more susceptible to pathogens and parasites. There are a few pieces of the puzzle that still remain to be put into place, but it is looking likely that neonicotinoid seed treatments are harming U.S. honey bees. Other research indicates that corn seed treatment is harming other types of beneficial insects. An extensive study in the U.S. Northeast on many types of beneficial beetles that are found in corn fields showed that neonicotinoid seed treatments likely harmed several of these species, although other species may fill in. This study was limited to beetles, did not include other beneficial insects, spiders and mites, and did not examine the implications for crop damage. Other research has shown that reductions in beneficial organisms can result in decreased crop yields. A pirate bug kills whiteflie nymphs, a pest of many crops. USDA photo by Jack Dykinga. In general, current data suggests that the new, ubiquitous seed treatments that have accompanied Bt corn are just as harmful as the insecticides they are replacing. It is not incidental or coincidental that corn seed—and seed from more and more other crops like soybeans—is being treated with insecticides. It is a consequence of the susceptibility of our overly-simplified, biologically-pauperized agricultural system, which relies on piecemeal pest control approaches like Bt and chemical insecticides rather than ecologically based systems that greatly reduce the opportunities for pests to get a foothold. So, why not GE AND agroecology ? Some vocal advocates of GE have acknowledged that we need to use better, ecologically based agriculture practices, but maintain that we should integrate GE into those systems. Such an approach would likely improve the sustainability of GE pest control. But how would it advance truly sustainable agriculture? In healthy agro-ecosystems, there is usually limited need for these types of pest control, and in most cases, that need can be met through breeding at much less expense than GE. The fact is that GE seed is expensive (because GE research and development is very expensive). And the large seed companies have a near monopoly on this technology, so they can jack up seed prices even further. Why should farmers be saddled with these unnecessary costs when cheaper technologies will work in the large majority of cases? As I have written before, GE may occasionally have a useful role, and may sometimes provide real benefits. But in a sensible agriculture system it is not clear that it is really needed, or worth the cost.